Senator Kamala Harris of California rang in this year's Martin Luther King Jr. Day in the most exciting way. She is officially running for President of the United States! The announcement came this morning on Good Morning America. Needless to say, people are thrilled. 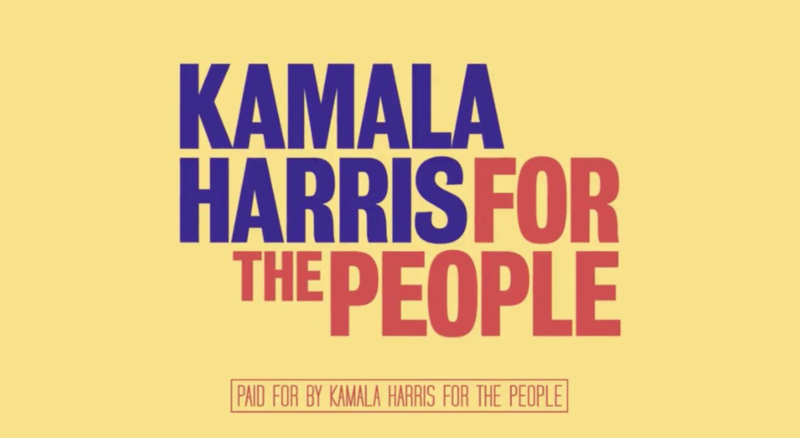 Once the news had a few hours to set in and everyone had a chance to calm down, people realized that her campaign logo has the most amazing hat tip. As you'll notice, she implements the standard blue and red, but she opted for a yellow background. Furthermore, her font choice has a retro feel to it. The red and yellow colors are a direct nod at Shirley Chisholm's campaign buttons. If you're not familiar with Shirley Chisholm, she was the first black woman to run for president nearly 50 years ago. The explicit and heartfelt gesture from Harris to Chisholm is causing everyone to love and respect Harris even more. To learn more about Kamala Harris or to donate to her campaign, visit her website.